Peter Brook has written that Samuel Beckett was falsely labeled as "despairing, negative, pessimistic," and so his treatment of five short Beckett texts in "Fragments" presents several of them with tender humor, not overlooking the somber poetry or haunting observations of human longings and frailties. 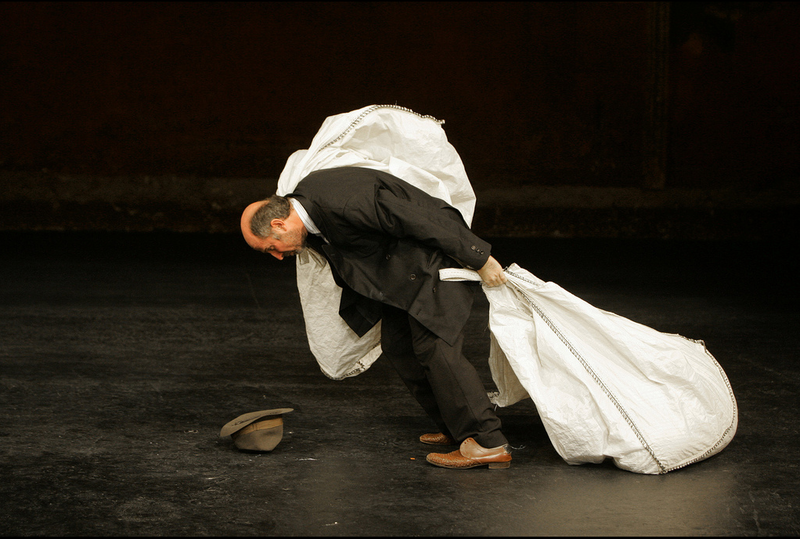 Theatre for a New Audience (TFANA), in association with the Baryshnikov Arts Center, is presenting the New York premiere of C.I.C.T./Theatre des Bouffes du Nord's "Fragments," a vigorous hourlong production co-directed by longtime artistic collaborators Brook and Marie-Helene Estienne. Brook made his observation about the false labels "first stuck on Beckett" in a program note.